People familiar with the justice system will have no problem differentiating a trial court and an appellate court. For most people with no legal know-how, or who have not watched at least a season of Suits or Law & Order, this article explains the major differences between these two courts of law. A trial court (i.e. court of first instance) is where all trials are initially held; thus, it is also referred to as a court having original jurisdiction. Trial courts are classified into two kinds: one that has general jurisdiction, and one with limited jurisdiction. Trial courts with general jurisdictions are allowed to hear civil and criminal cases that are not already committed to another court. In the US, the district courts are the courts of general jurisdiction and are established by the state court of each US state. The second type of trial court is one with limited jurisdiction and are allowed only to hear specific types of cases (e.g. juvenile, probate, family law). However, trial courts in the US are not readily identifiable as having general or limited jurisdiction. Trial courts are presided over by one or more judges. In common law jurisdictions, however, a jury typically sits with only one judge. 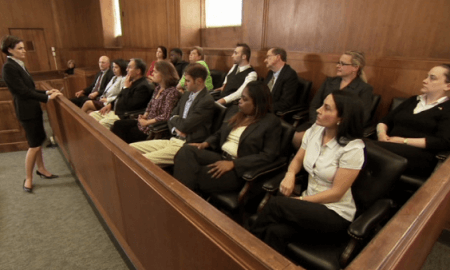 There are instances where the jury helps decide the outcome of the case. The judge, on the other hand, decides which evidence is acceptable or not. It is in trial courts where both parties present evidence related to the case. Evidence can be documents or items important to the case and are usually from witnesses or exhibits. An appellate court (i.e. 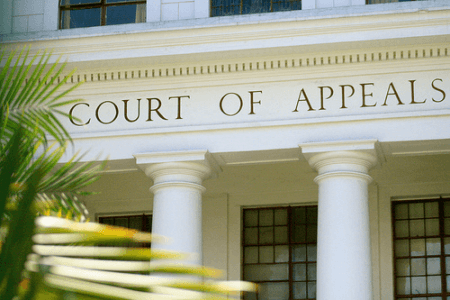 appeals court or court of appeals) is responsible for reviewing and hearing appeals from cases that have gone through a trial court or other lower court. This is where individuals or corporate entities file a case appealing that the decision for an unsuccessful outcome be reviewed and possibly reversed. In the US, any jurisdiction’s highest appellate court is its supreme court. It is important to note that appellate courts usually operate under different rules. In some jurisdictions, there are appellate courts that have limited powers of review. However, the judgment of the appellate courts is usually the basis of the final decision. The final decision specifies whether the appeal is to be affirmed, reversed, remanded, or modified. Evidence presented in a trial court usually comes from the witnesses and exhibits. In contrast, appellate courts do not require witnesses, while no new evidence can be presented other than what was presented in the trial court. In a trial court proceeding, a jury is sometimes used in making a decision. Appellate courts do not make use of a jury as the judges decide what will be done to the appeal. Here’s a relatively lengthy discussion about trial and appellate courts.